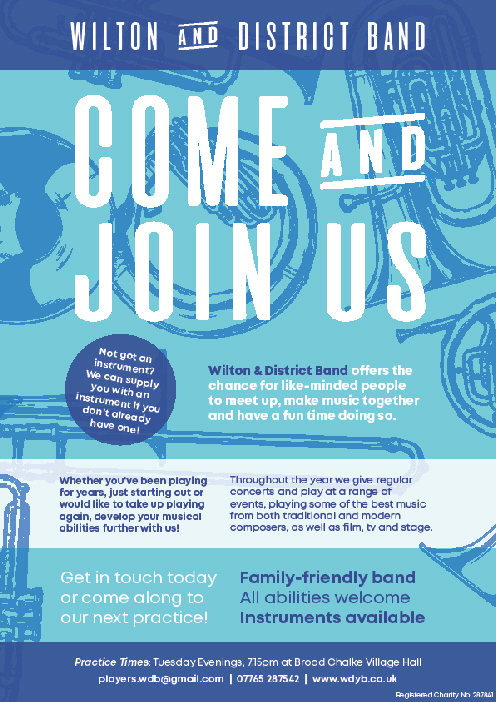 If you have had an interest in playing for a brass band or used to play and would like to start again. The band would be happy to invite you along to practice. If you don’t have your own instrument, the band are happy to provide one. If you are interested in joining the band or wish to come along to see what the band is like please get in touch or come along to rehearsal on Tuesday evenings from 1915 at Broad Chalke Village Hall.